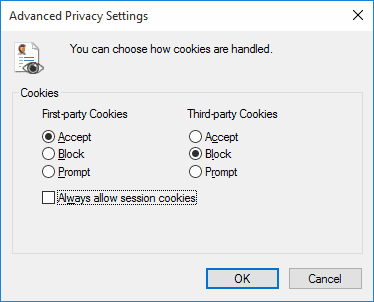 You can also check “Always allow session cookies” if desired. Select “OK” when done. Select the “Sites” button if you wish to set options for specific websites. 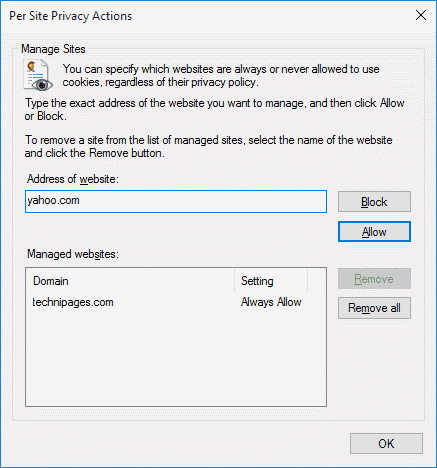 Under this section, type the website in the “Address of website” field, then select to “Block” or “Allow” cookies on that website. Click “OK” when you are done. 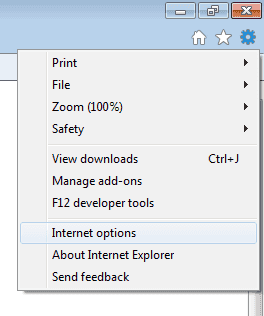 If you want to browse the web and prevent IE11 from keeping cookies after a single session, you can enable InPrivate Browsing. InPrivate Browsing is like the Incognito Mode in Google Chrome. 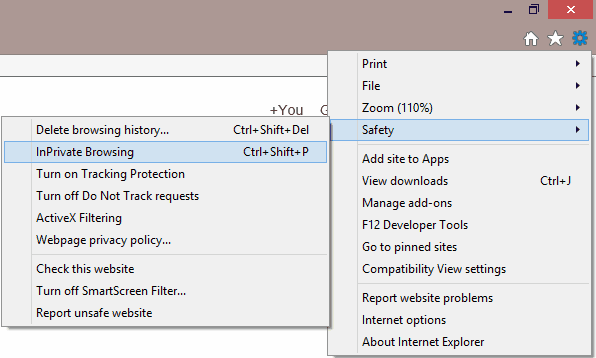 You can bring up an InPrivate Browsing window in IE11 by select the gear in the upper-right corner of the screen, then choosing “Safety” > “InPrivate Browsing“. 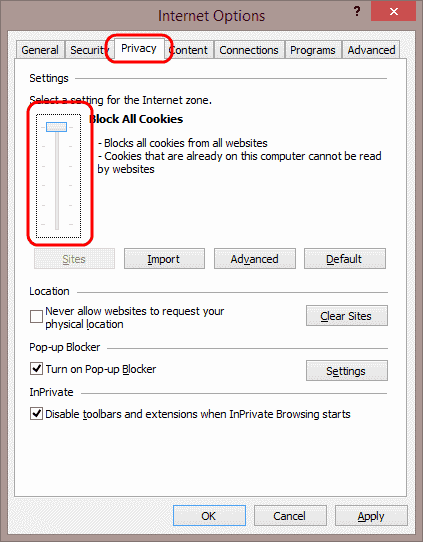 Where are this cookie sliders that used to be in IE? They are gone and replaced with this new interface. 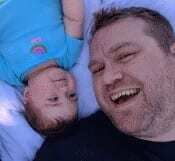 What are first-party and third-party cookies. First-party cookies are cookies from the website you are visiting. Third-party cookies are cookies from other services or websites that aren’t from the same website you are visiting. Session cookies are cookies that are stored until you close your browser session. I’m Unable to change the Cookies Slider, When selecting default and saving the settings, the slider goes back to Block all cookies?? I appreciate this clear explanation. However, like Sally Higgins, I’ve also done this more than once now (and allowed both types, just in case), but my browser (MSIE 11) claims I’m not allowing cookies. Any idea why that might be? I am using my iPad not my PC. My iPad uses safari. So, how do I access what I need to do using safari? Exactly what I needed – clear and illustrated guidance. Wish this guy would write the full Micrsoft IE and Windows 10 manual! This solution looks very good. Does it apply to FLASH COOKIES?